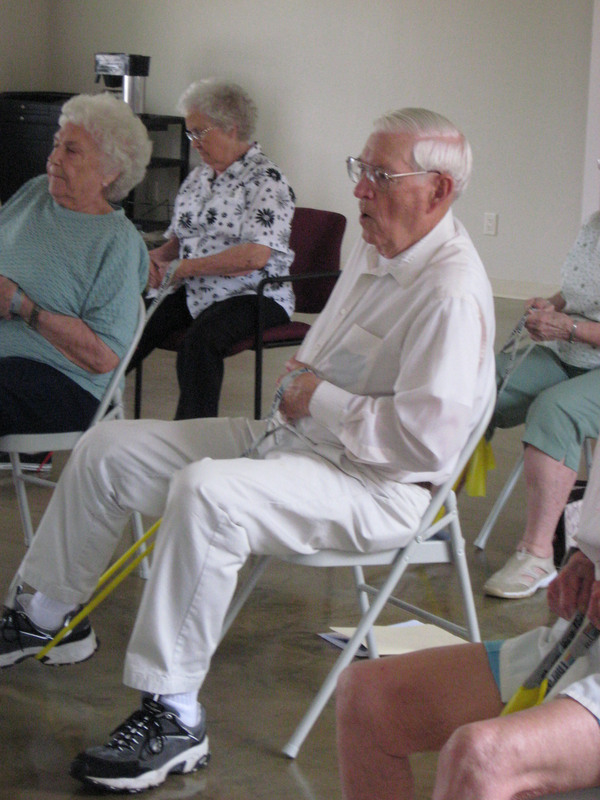 Seniors & Adults- Join your friends in this fun program that improves balance and strength. The Strong for Life program uses Therabands (elastic resistive bands) to provide force for strengthening muscles that are important in every day movements such as getting out of a chair and walking. Each exercise is scalable in difficulty and the instructions on how to modify the exercises to suit different strength and functional levels are provided verbally by the instructor as well as shown visually by the demonstration in the video. Class meets in the Livingston Center multi-purpose room from 10:30am - 11:00am Mondays, Wednesdays and Fridays. Just show up and be ready to have fun!